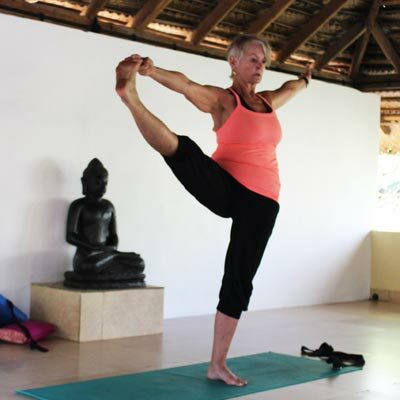 Margaret is a Senior Level III Iyengar Yoga Teacher, who has been teaching since 1981. She has visited the Iyengar Yoga Institute in Pune, India many times and has been taught by BKS Iyengar himself, as well as by Geeta, his daughter, and Prashant his son. Margaret is also an Acupuncturist, in practice for over 15 years, and brings her knowledge of Chinese Medicine to her Yoga teachings. Margaret’s experience in Yoga, pranayama, meditation and Chinese Medicine, has lead to a complete practice, a spiritual awareness and the desire to go deeper into that aspect. It is a lifetime’s learning process and is a very exciting journey. Margaret had boundless enthusiasm for her practice and her teaching and loves to help her pupils discover a deeper level of Yogic awareness. She has also studied Remedial Yoga with Stephanie Quirke, over a five year period. Margaret teaches weekly classes and one-to-one sessions in Berkshire, UK, and also runs weekend and one-day workshops in England and Ireland. She runs regular Yoga holidays in Crete, Turkey, the Canaries, Egypt, and Kerala. She has also experience as a guest teacher in Europe and the U.S.A.
Margaret believes that we can find self-healing for mind, body and spirit in the complete Yoga practice, which incorporates asanas, pranayama, and meditation. Her classes explore the asanas in depth to find new insights, openings and extensions – but always joyfully and with respect for the body and the great subject of Yoga. £895 sharing, £1150 single, £1230 superior single.